Situated on a working wine and stone fruit farm at the foot of the Olifantsberg Mountain, nestled amongst the farms lovingly nurtured vines and orchards. We are about 15km from Worcester and about an hours drive from Cape Town. Here you will find 10 beautifully furnished rooms situated on the edge of one of the farms dams, an elegantly furnished 2 bedroom Cottage and 4 Self-catering Chalets surrounded with vineyard and mountain views. Here you will experience the beauty and peace of the nature that surrounds you. A truly wonderful place to unwind, in a tranquil farm setting, where a variety of walking trails and or mountain biking routes are on offer waiting for you to explore. 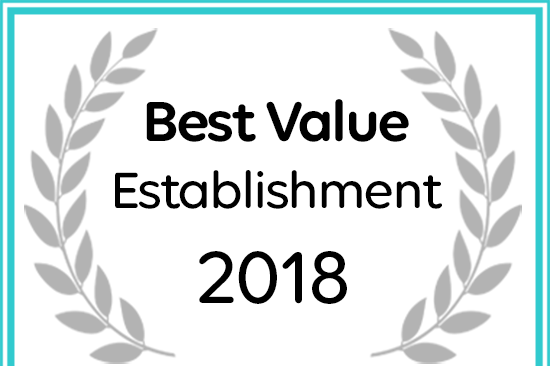 Bergland Accommodation has been named a Best Value Establishment on Afristay.com.